With relining, a felt impregnated fiberglass line is placed inside the faulty pipe to seal off any damaged areas, creating a structural repair that lasts for up to 50 years. 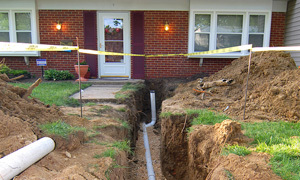 Relining allows full line replacement or repairs on 3" to 8" lines. Access is usually made through one entry point and the new lining can be run all the way to the city connection, even under a street or driveway. Pipe Lining. Our trenchless sewer replacement technology has saved our customers thousands of dollars and valuable time by avoiding a massive excavation of their property. 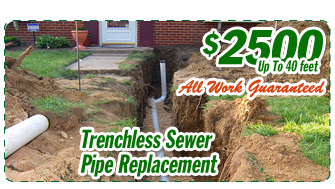 Contact California Green Plumbing professional today to find out more about our trenchless sewer replacement options.